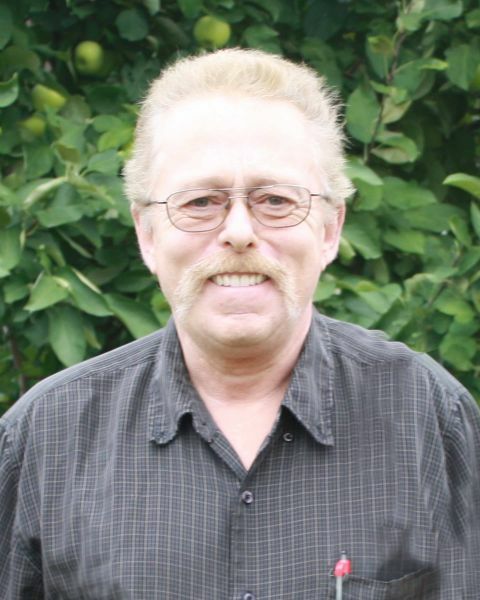 On Sunday February 10, 2019, Dad at the age of 59 passed away peacefully at Boundary Trails Health Centre, with his wife and daughters by his side, after dealing with a four-month struggle with cancer. Dad was born in Winkler, MB on September 27, 1959 to Jacob and Sarah Friesen. He grew up on a farm in Hocheld and continued to live in Hochfeld most of his life. During his teenage years he moved to Saskatoon where he worked for a short time setting up silo’s, but soon returned home where his love for farming continued. He started his job at the research station where he worked for many years. He built many friendships there which he cherished deeply. On March 22, 1986 Dad married the love of his life, Colleen Billings from Killarney. Dad was baptised upon the confession of his faith June 26, 1994 at the Morden EMM Church. Dad and mom lived in Morden for a short time but then moved to a family farm in Hochfeld where Dad and mom farmed. They were blessed with two daughters, Charlotte and Janelle. Dad always said how happy and proud his girls made him and he wouldn’t trade them for any son. Dad took pride in farming. He loved watching his crops grow. He enjoyed working along side with the Blumengart Colony for the last number of years. With God’s blessings and dad’s dedication to farming it often showed with a bountiful harvest! Dad’s life left a long-lasting impact on his daughters and grandchildren. He is survived by his wife, Colleen (nee Billings), two daughters, Charlotte and Andy Guenter, Janelle and Douglas Elias as well as five grandchildren, Dakota, Jackson, Dallas, Savannah and Elijah, two sisters, two brothers and their families. He was predeceased by his parents and one son in infancy. We would like to thank the staff at the BTHC for the excellent care given to Dad. The family greatly appreciated all the visitors and prayers that were received during this difficult time. I am deeply honored and blessed to have known your husband even though it was only recently that I met the two of you. What I saw was pure love between you two. John had the biggest smile on his face and I saw his eyes light up when you walked in the room. Please accept my deepest condolances to you Colleen and your family.